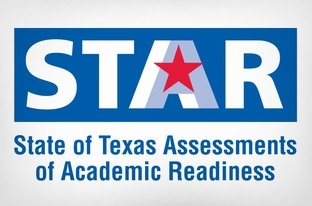 Texas Education Commissioner Mike Morath said Wednesday morning that the state was not likely to let students displaced by Hurricane Harvey delay a required state test this school year — or to change the way school districts are graded at the end of the school year. Educators and advocates for fewer state tests said they were dismayed by Morath’s statement and hope he will consider waiving requirements for southeast Texas districts that have had to postpone classes. State Rep. Dan Huberty, chair of the House Public Education Committee, said he has heard from constituents on the matter and will hold a public hearing in the next few weeks to consider how the Legislature can help schools impacted by August’s storm. Huberty, a Houston Republican, said he plans to invite educators from all impacted schools to testify. “We had a dramatic and traumatic event just occur that affected so many folks in the southeast Texas area,” said Bret Champion, superintendent of Klein ISD, located just north of Houston. “We absolutely are about teaching rigorous material around academics, but we also provide for an awful lot of social-emotional wellness” for traumatized students. Champion suggested the state consider moving the test dates back. Klein ISD students missed seven days of classes, as administrators surveyed flooded buildings. Teachers and students are still cleaning out flooded homes, and some have lost everything. “A little more time to be able to assess that would be helpful,” he said. Two advisory groups of educators, legislative representatives and businesspeople meet twice a year to discuss the accountability system for school districts and advise Morath on how to implement it. Laura Yeager, who has served as an adviser for the past two years, said she will bring up waiving accountability grades for school districts at the upcoming October meeting. “I’m not sure how they can rate a district or student on growth when they have lost or gained so many students,” said Yeager, who is also a board member of Texans Advocating for Meaningful State Assessment, which has lobbied the Legislature for fewer state tests. I hope Commissioner Morath will take his time making a final decision. Champion and Yeager have both raised valid concerns that should be taken seriously. It may be that displaced students will do just fine and the overall effect of Harvey will be minimal, but if it isn’t there shouldn’t be a penalty for that. Morath and the TEA need to keep an open mind about this.